‘Even coming to this after some years in the industry, there has been plenty to learn. It has, I feel, re-invigorated my passion for brewing and, more importantly, maintaining the highest quality standards in the brewery’. 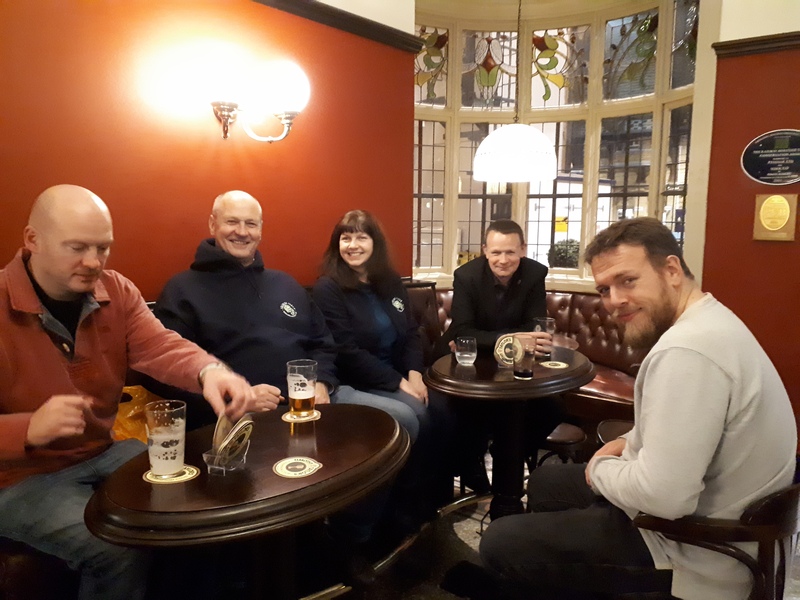 We were very pleased to welcome along to this Novembers course Beth and Mark from Charles Farams Hops who wanted a Master Class in brewing before attending this year’s Brau in Nuremberg. 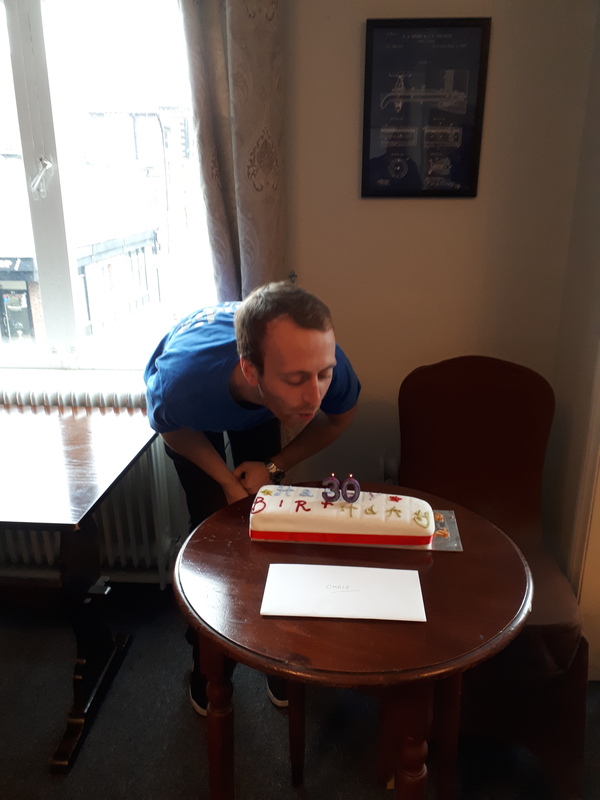 Chris from Leeds Brewery’s dedication to the cause of learning was to sit in classes on his thirtieth birthday, but we made it up to him with a cake, candles and rousing chorus of Happy Birthday to help him celebrate. Our Sunday night at the start of the course was livened up by the surprise arrival of Paul Corbett and Andrew Whalley from Faram’s, who both previously taught on the course, and John Bryant from Oakham Ales who attended one of the first courses back in the days when the course ran at Malton Brewing Co. before we moved to York Brewery. 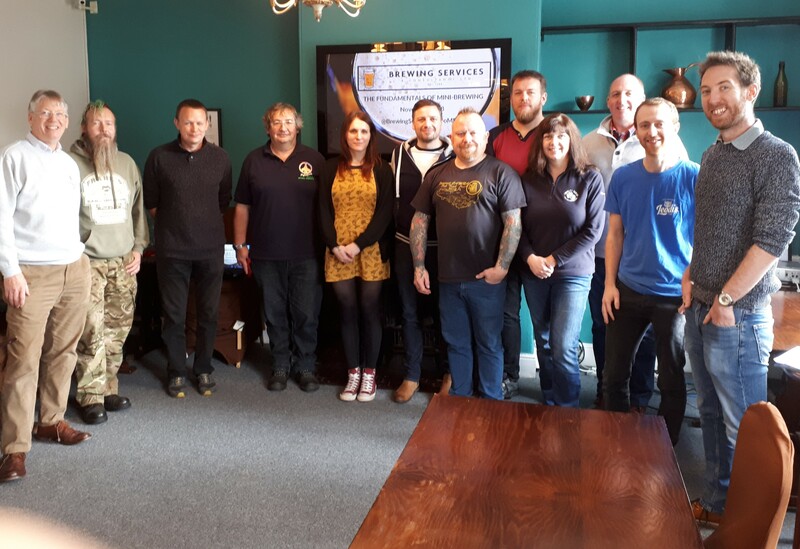 This made us think that next year, as we celebrate our thirtieth year running the Fundamentals of Mini-Brewing (the longest continually running brewing course in the UK), we should hold a big party and invite as many of the past attendees as we can muster to help us celebrate. So if you ever attended a past course please get in touch and we’ll make sure we send you details of where and when.